"Forgotten" is the tenth song on the album Hybrid Theory. It is a quick paced track, revolving around Mike Shinoda's verses. This song was originally known as "Rhinestone" during the band's days as Xero. "Rhinestone" was an early version of "Forgotten" created by Brad Delson, Joe Hahn, Mike Shinoda, and Mark Wakefield when Linkin Park was still called "Xero" and had Mark on vocals. The demo was re-recorded at some point when Mark was still in the band and used on the soundtrack of the 20th episode of the Canadian TV show "The Crow: Stairway to Heaven", entitled "Brother's Keeper", which aired on May 7, 1999. A soundtrack CD for the series exists but "Rhinestone" wasn't included in it. A version of "Rhinestone" was, however, included in the audition tape the band sent to Chester. Another version of "Rhinestone", with Chester Bennington on vocals and different lyrics, exists from the Hybrid Theory sessions. Although this version is labeled "Rhinestone" on the internal Warner Brothers Records demo CD, this same demo was released on the LP Underground 12 CD as "Forgotten (Demo)". On the booklet, Brad wrote: "One of our earliest songs. Definitely a fan favorite. The spirit of this song is intimately interwoven into the formative identity of the band." On October 7, 2002, Mike wrote on Linkin Park's official website: "[...]sometimes, some of us never get past the working title. originally, forgotten was called "rhinestone," and no matter how much i ask him not to, brad still calls that song by its old name. haha"
Verses of the demo were re-used on "Frgt/10". There were a few mistakes on the lyrics printed on the Hybrid Theory booklet. For "Forgotten", the lyrics reads "Then with the eyes tightly shut" instead of "Then with the eyes shut". Demo version with Mark Wakefield on vocals. Alternative recording of the song, still with Mark Wakefield on vocals. Played during the 20th episode of the Canadian TV show The Crow: Stairway to Heaven, entitled Brother's Keeper, which aired on May 7, 1999. A soundtrack album was made for the show but "Rhinestone" isn't in it. Although this version was never released, it is worth noting it exists. The Demos CD dates from January 7, 2000. Listed as "Forgotten (Demo)" on the LPU CD. Features vocals by Chali 2na of Jurassic 5. "Rhinestone" lyrics were re-used for this remix. Includes transition to Rasco's "The Sweet Science" at the end. The CD dates from late January or February 2002. After the second chorus, the structure of the song varies from the version on Reanimation. Short bridge with brief piano part. Slight differences with the ending. Released on LPLive for free download on June 20, 2012. 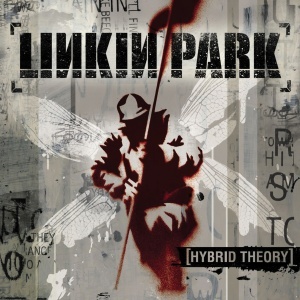 Hybrid Theory can be seen rehearsing the song in the HiFi Hollywood Rehearsal Studios with bassist Scott Koziol during the episode "DJ Joe of Linkin Park" of Marc Ostrick's webseries Lockout, recorded on February 24, 2000. "Forgotten" was a staple in the setlists on the Hybrid Theory touring cycle. The song was almost always played with an extended intro, entitled the "2000 Beat Intro", near the beginning of the set in 2000. When the song was performed in the very beginning of 2001, it continued to be performed towards the beginning of the set, now with an extended bridge added to it. On the band's first tour of the year, the Street Soldiers Tour, the song was finally moved up into the set, becoming the second-to-last song in the setlist before "One Step Closer". When the band began utilizing an encore break in the middle of the US-to-Europe Tour (the first confirmed show of this happening is in West Melbourne, Victoria, "Forgotten" was the song that opened up the encore. At the band's first show at Rock im Park, "Forgotten" had both an extended guitar intro in addition to the 2000 Beat Intro, the first time the intro had been extended further. This extension was consistent until the end of the Ozzfest. When the band performed at the KROQ Weenie Roast, the extended bridge was taken a bit further when Brad began to play the main riff of Guns N' Roses' "Sweet Child O' Mind" during it. On the Hybrid Theory European Tour, "Forgotten" was moved down into the main set rather than the encore, when it was the second-to-last in the set, before "Crawling". The song was dropped after this tour. The song returned once more in 2002, where it was again performed as the second-to-last song in the set. On the single 2002 tour, it was performed with a new guitar intro. "Forgotten" did not appear in a Linkin Park setlist for over a decade after the Hybrid Theory touring cycle. It was rehearsed for the Meteora touring cycle, but did not end up being performed in that cycle. It did not appear again until The Hunting Party touring cycle, where the band performed it at the Download Festival, where the band performed Hybrid Theory in its entirety. At the show in Stuttgart, Germany on The Hunting Party European Tour, Mike was going to rap the first verse of "Forgotten" over the extended intro of "Until It's Gone", by request of an LPU member at the meet and greet, but couldn't figure out how to do it on the spot and ended up making the extended intro an instrumental. Thinking "why did I try?" A demo version of "Forgotten" ("Rhinestone") with Mark Wakefield on vocals is featured in the 20th episode of the TV series The Crow: Stairway To Heaven, titled "Brother's Keeper".